Posted on March 29, 2017 by Eric Bonnici wrote in Fun Things to Do in Windsor Essex. It has 0 Comment. Tourism Windsor Essex Pelee Island (TWEPI) has revealed the 2017 Best Of Windsor Essex Awards winners featuring fun things to do, fascinating attractions, unforgettable places to see, the best restaurants to eat at, sizzling summer festivals and more on March 29, 2017. 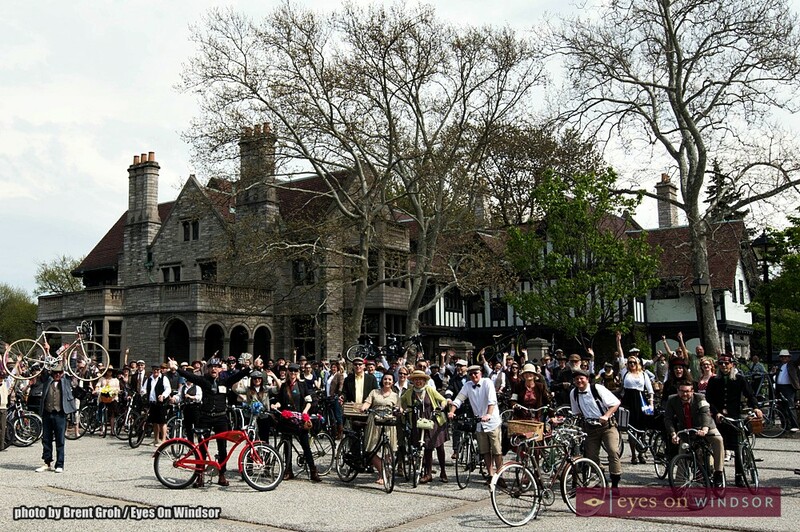 (Pictured above cyclists from the Windsor Tweed Ride stop for a photo op in front of Willistead Manor which was voted the Best of Windsor Essex 2017 Best Photo Op. Photo by Brent Groh/Eyes On Windsor). 2017 marks the second edition of the Best of Windsor Essex, a campaign that ran from January to February 2017 with the ambitious goal of putting together the most comprehensive list of the “Best Of” things to see and do in the region. Drawing on the success of last year’s inaugural campaign, this year’s the Best of Windsor Essex campaign drew an even more enthusiastic response from local residents and visitors eager to share their favorite attractions. In Phase I, over 785 unique Windsor Essex locations were nominated for the 43 awards. Those nominations were then pared down into the top five in each category. 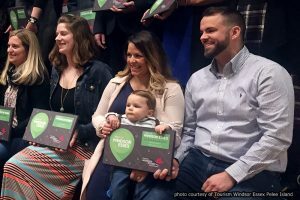 Phase II then began with over 7,000 people voting again on the top 5 in each category for their favorite spots in Windsor Essex – where they like to eat, shop, dine and play. Winners of the Best of Windsor Essex were announced at a special Awards Ceremony on Wednesday, March 29th 2017. In addition to commemorative plaques, a letter of congratulations and bragging rights, winners will also be mentioned in TWEPI’s 2017/18 Official Visitor Guide and TWEPI’s micro-site, www.bestofwindsoressex.ca. This specifically designed site will feature a mini-profile and photo of each winner and a highlight of the top 5 finalists per category. “This year’s campaign drew an even higher engagement rate than last year from both businesses and their fans alike. 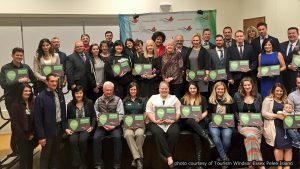 Locals are justifiably proud of our area and we anticipate that this list will inspire locals and visitors alike to explore our region’s iconic experiences, hidden gems and everything in between,” says Gordon Orr, CEO of Tourism Windsor Essex Pelee Island.